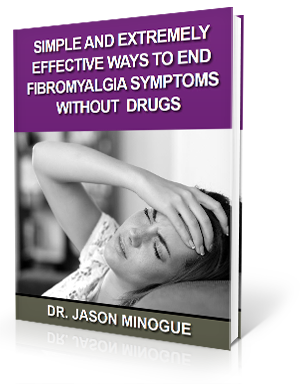 The number one symptom associated with fibromyalgia is pain and tenderness throughout the body. In fact, the word fibromyalgia comes from the two Latin words for muscle and pain. While fibromyalgia is not actually a type of arthritis, some consider the conditions related thanks to the symptoms. What causes fibromyalgia is still a mystery as far as the traditional medical world is concerned. While some cases seem to spring from trauma or illness, other cases seem to have no notable cause whatsoever. Recently, researchers have been examining the way that the central nervous system processes pain, and are making a connection with fibromyalgia. However, without understanding the cause, doctors find it difficult to relieve fibromyalgia. Therefore, treatment usually focuses on easing the symptoms. Typical treatment includes pain medications and physical therapy sessions. Dr. Jason Minogue, however, is getting to the heart of the matter by using Upper Cervical Chiropractic care. Mounting evidence points to fibromyalgia being caused by abnormal pain signals in the nervous system. These signals can be created when the C1 and C2 vertebrae, situated at the brainstem, are out of alignment and obstructing proper nervous system function. At Dr. Minogue’s practice in Houston, Texas, these misalignments can be corrected using gentle adjustments. This allows the body to heal naturally, without the use of side effect-ridden drugs. Thus, Upper Cervical Chiropractic care is really getting to the root cause of many fibromyalgia cases to provide natural relief. Scheduling a thorough examination with Dr. Minogue can help you to learn if Upper Cervical Chiropractic is the right treatment option for you. National Institute of Arthritis and Musculoskeletal and Skin Diseases. Questions and answers about fibromyalgia. http://www.niams.nih.gov/health_info/fibromyalgia/#b (accessed 19 June 2015).